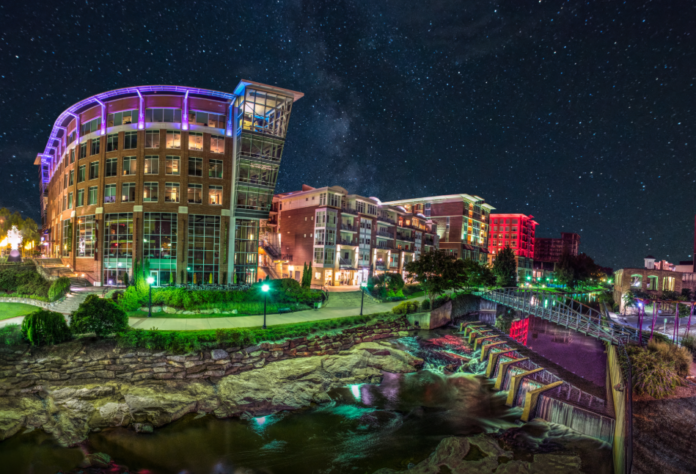 Greenville, South Carolina is an up and coming city with a flourishing downtown that features trendy stores and restaurants that will not disappoint those searching for good food and a great time in a cool location. Finding somewhere new to eat can be hit or miss, especially in a place you may not have been before. Or, maybe you are a local and want to try that restaurant that you always walk pass but never go to. If you are reading this, you are most likely looking for somewhere to eat in Downtown Greenville, or maybe you are wondering what kind of food downtown has to offer. Well, I’m glad you are here, I have just what you are looking for. There are hundreds of dining options in and around downtown Greenville. Some with local cuisine and others with Mexican, Italian, or European inspired menus. When you are searching for somewhere to eat you may consider menu, atmosphere, or location. Good news for you, downtown has an abundance of options that will offer you and your crew several great places to eat. Now, the hard part, how will you choose? I am here to help, here are 5 restaurants that you’ll want to check out! “Creative takes on Southern comfort food” is the name of the game at Tupelo Honey. If you are looking for somewhere to experience real southern comfort food, eat here. The food is delicious, the service is great, and you get a taste of southern home-cookin’. Tupelo Honey offers a seasonal menu that differs depending on which location you visit. Be sure to check out the specials and seasonal favorites! Smoke on the Water is best known for its barbecue and the variety of sauces that you can choose to top your meat. In addition, the tasty appetizers and sides complete the meal. The tavern also offers a variety of other options such as chicken, seafood, and burgers. Bonus: It is a quick walk to the Falls where you can walk around the park after a satisfying meal. Trio is best known for wood-fired pizzas with fresh homemade sauces and a wide variety of other Italian cuisine. It is a family-friendly place with an exciting atmosphere. Trio sits on the corner of Main Street in the historic downtown and offers a variety of Italian flavors that satisfy locals and visitors alike. Cantina 76 is known for Mexican-inspired cuisine and unique flavored tacos available for a type of mix-and-match dining experience. The variety of delicious tacos and other Mexican-inspired options ensure something for every palate. This is a great place to go if you want to try a few items. The options are endless and the variety platters make it easy to try several flavors. The drinks are delicious and the atmosphere is enjoyable. The Trappe Door is a unique underground dining experience. The ambiance is that of an old-world style pub. It offers European food with a pinch of Southern flair. The beer selection is extensive and the desserts are sure to please. The menu features everything from burgers and sandwiches to lamb and crepes. Go with friends and try a little bit of everything at the Trappe Door. You are looking for somewhere to eat, you’re probably hungry and ready for some good food. These five restaurants listed above give you just a taste of what downtown Greenville has to offer. Choose any of these options for delicious food and an enjoyable experience. There are endless opportunities that will be satisfying for you and your friends. Now, get to eatin’! Previous articleTop 10 New Hairstyles for Men’s 2018/2019 ! Men’s Haircuts Trend!